Ocean Diver training is starts in September sharp. Please email the Training Officers for more information. Alternatively come along and see us at the Sports Fair in Freshers week. Sells out fast so don't wait too long or you might miss out! Ocean diver is your entry level qualification to diving with BSAC. It holds a maximum depth of 20 metres, covers elementary buddy rescue, and teaches Nitrox diving theory. This grade meets and exceeds the proposed European Level 2 diver standard. Advanced Diver training is organised when and if there is enough interest from potential candidates. Advanced divers have considerable diving experience and have developed their skills to a level that enables them to competently organise and lead diving expeditions. They have additional experience in managing diving in a wide range of conditions and circumstances. First Class diver training can be organised on a case by case basis. 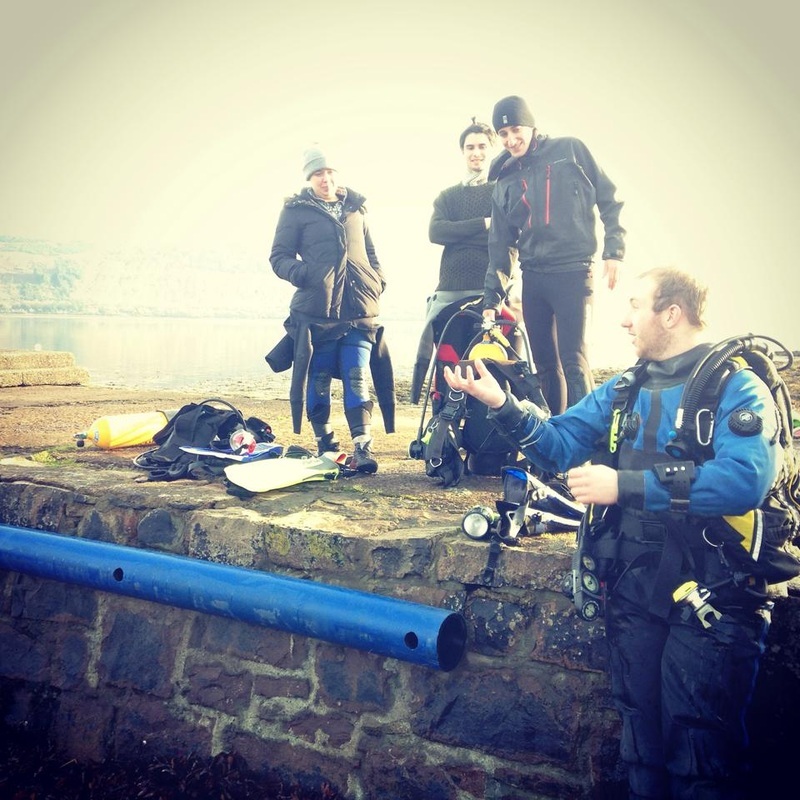 The top level of BSAC diver grades, First Class Divers have a higher than average theoretical knowledge and organisational and personal diving skills. They have a broad range of practical experience and are capable of planning, organising, and leading advanced level diving expeditions. This grade is only awarded following a nationally conducted assessment. Sports Diver is the next step after Ocean Diver. If you're ready to take your diving to this next level, sports diver training begins in January. Sports Diver allows you to extend your maximum depth to 35 metres, conduct planned decompression stop dives, and also covers more in depth rescue procedures. Dive Leader theory will be starting in September. Dive leaders are competent in dive management and rescue management skills. They are also competent in organising and leading diver groups. They can extend their depth limit to 50 metres. This grade meets and exceeds the proposed European Level 3 diver standard.